If your smile needs a touch-up, teeth whitening could be just the solution. In under an hour, you can leave the office with a whiter, brighter smile. Gary Wegmann, DDS, and the team of licensed denturists and dentists at Chicago Family Dental Center excel at teeth whitening treatments. Located in The Loop of Chicago, Illinois, the accomplished team can help you enhance your smile with both in-office procedures or take-home whitening kits. Book your consultation online or call today. Teeth whitening involves the use of a powerful bleaching agent applied to your teeth that breaks apart the concentration of stains, giving your teeth a whiter appearance. There are a host of over-the-counter teeth whitening options, but the safest and most effective options are professional in-office methods. At Chicago Family Dental Center, the team uses the Philips Zoom!® teeth whitening treatment, which incorporates the highest strength bleaching agent available on the market that provides a noticeable difference on even the heaviest of tooth stains. Tobacco use of any kind and even dental injuries can also lead to unwanted tooth stains. When it comes to whitening your teeth at Chicago Family Dental Center, you can either visit the practice for a quick, easy in-office procedure or use a take-home whitening kit and enhance your smile on your own time. An in-office whitening procedure takes under an hour and brightens your smile by up to eight shades. 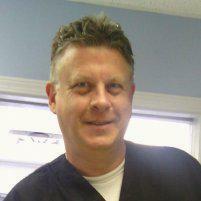 Dr. Wegmann or one of his team members applies the whitening gel to your teeth. Then, they use a special LED whitening lamp to accelerate the results. Alternatively, you can elect to use a take-home whitening kit. Dr. Wegmann will provide you with a detailed schedule and instructions on how to wear trays lined with the special whitening gel. With a take-home whitening kit, you can brighten your smile in just a few short weeks. In general, teeth whitening results should last 1-2 years, if not more. The key to maintaining results is brushing and flossing diligently and continuing to come into Chicago Family Dental Center for regular cleanings. Also, try to limit your intake of tooth-staining food and drinks. When you notice your whitening results dulling, it may be time for a touchup. Call Chicago Family Dental Center or use the online booking tool and schedule your teeth whitening today.